New Year, New Site, New Options! There's something about the new year that always makes me long for a fresh start. This year, I took advantage of the motivation and finished a project I've been working on for a couple of months... A brand new blog design site and some exciting new packages for you! 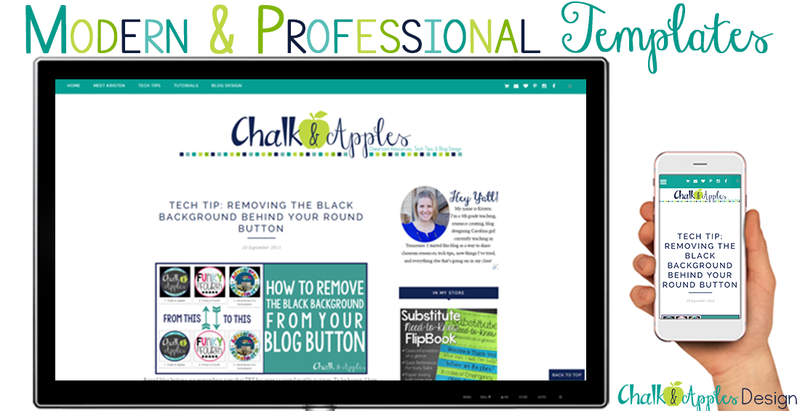 I redesigned my teaching blog, and created a separate site for blog designs so that everything is easier to find. Take a look around... Don't you just love the clean, professional look? I know I do! And the mobile view is AMAZING! Just take a look at the iPhone screenshot at the top! Did you think I had moved to WordPress? Surprise, this is still Blogger! I know a lot of people are jumping to WordPress, and I honestly tried to love it, but I just couldn't. Even after paying the $150 price tag just for hosting, plus another $60 for a Genesis theme that I would spend hours customizing, I just couldn't fall in love with WordPress. 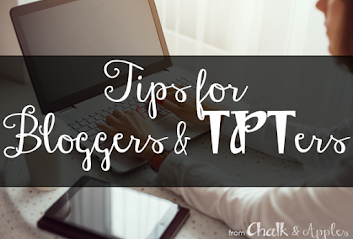 I've gotten so comfortable with the ease of Blogger that I decided to stick with something familiar instead of spending hours learning something new. I was so glad to find some AMAZING base templates for Blogger that provide the streamlined WordPress look and mobile responsive view. These sites include many of the features you already love, like a sidebar photo & bio, post signature, and scroll to top button, and some great new features like an always on top navigation bar with drop down menus and your social media links, a truly mobile responsive interface, featured post sliders, and more! Check out the Modern & Professional Templates on my Packages & Pricing page for all the details. If you are already on my custom design wait list and you want to switch to this new style, just shoot me an email! Be sure to follow this new site on Bloglovin' so that you don't miss out on important updates!